This week, while commuting, I broke the rules. 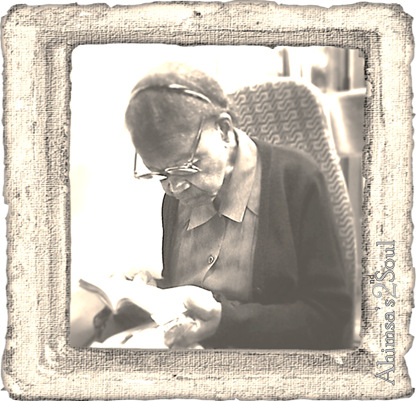 Without her noticing, I took the picture of this lovely lady, The Psalm Reader, without asking her permission. Worse still, I published it on Instagram and Flickr and now here on this blog. I know it's not catastrophic, since I have less than a dozen followers, and I tried to keep her face out of focus. But she's is probably someone's Grandmother, Mother, relative. If, by any chance, you are her grandchild, please know that the picture was taken lovingly: at her peaceful expression, at her quaint elegance, at the fierceness with which she held the book and her total and complete oblivion of her surroundings. Here's hoping that there is a wise psalm to guide foolish commuters like me. If there's not, this is my tribute to the elderly and grandparents, their quiet wisdom.